Fresh Rose Deep Hydration Face Serum, 1.0 oz. FreshRose Deep Hydration Face Serum, 1.0 oz. 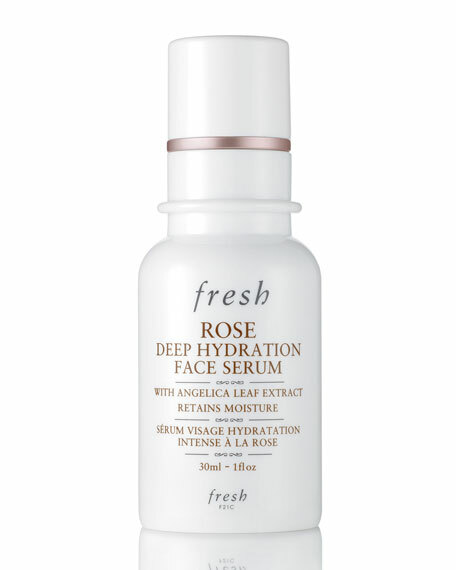 Fresh Rose Deep Hydration Face Serum is a fast-absorbing fluid that intensely hydrates and retains moisture for a healthy-looking, glowing complexion. The soothing formula offers 24-hour moisture* and boosts the skincare ritual that follows. Cucumber extract helps to soothe and cool the skin.